Nero Express supports virtually every CDR/RW and DVDR/RW drive imaginable and is compatible with new DVD standards ensuring the user top-quality recording every time. Nero Express allows new users to feel comfortable by having an effective wizard walk them through the process of recording audio, video and data CDs. Superior disc and file playback including Blu-ray 3D discs is built-in as well as streaming of virtually any file to your iOS devices, Android devices and all compatible TVs. The new support for "Places" in Nero MediaHome allows you to tag and browse your videos and photos based on where they were taken. Convert all your videos and video discs play on iPhone 6, Galaxy and the latest smartphones and tablets. Play all your content on your SmartTV via the integrated media server. 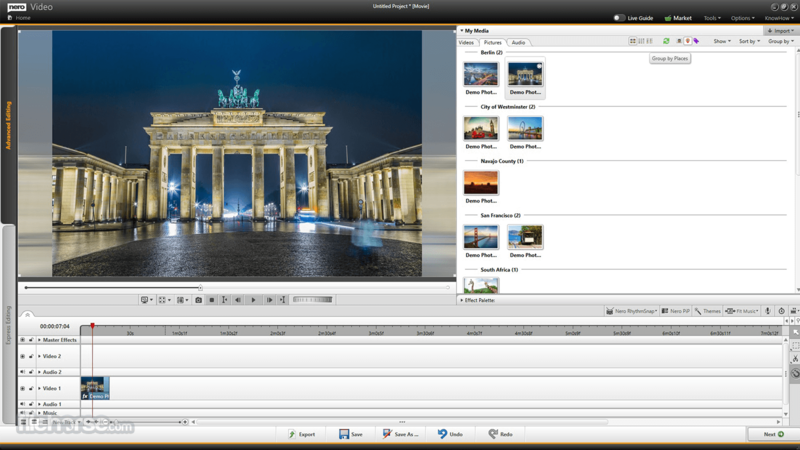 The video editing program offers you full creativity with the easiest handling and best results for your film projects. 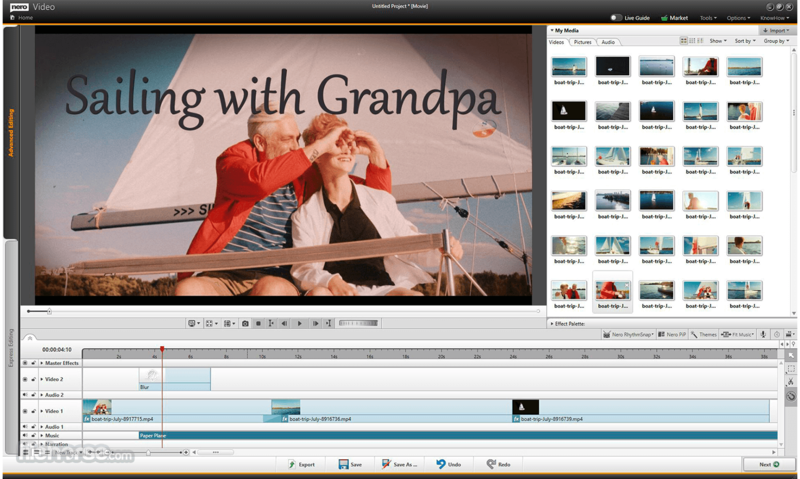 Create perfect movies and slideshows with 1-Click Video Story. 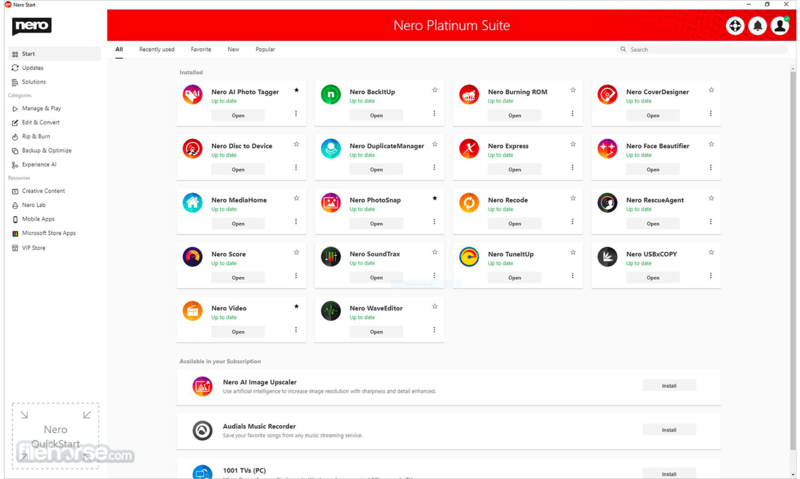 With the new Nero LifeThemes PRO you automatically create authentic moods. You can then add music, over 1000 effects and the automatic 1-Click bar remover to your videos - making any photo and video material ready for the optimal film experience. Even upright videos and photos from your phone can be easily imported and edited as vertical video and perfectly staged thanks to brand-new vertical video templates. You can also create and burn high-quality video DVDs and Blu-Ray Discs™ with numerous new menu templates. In MediaHome, you can now access your OneDrive online files (Files On Demand) and download them directly. This saves a lot of storage space on your Windows and you still have your pictures, videos and music directly available for your project at any time. And of course, you can play everything in the usual way, whether it's a video DVD, music CD, music files, photos, slideshows, videos, films or TV series. Stream your photos, movies and TV series including movie titles wirelessly to TV in your living room. Have you lost track of your photo archives on your PC? Multiple copies of duplicate photos and so many similar photos through image editing or HDR? DuplicateManager Photo's brand new 'Find similar images' mode provides quick help. It finds duplicated and similar photo folders and photo duplicates quickly and securely, restores order to your photo archive, valuable storage space, and even cleans up your MediaHome media center. Back up your valuable media files with the integrated BackItUp. Sit back and rest assured that all your data is in good hands. Use BackItUp to protect all memories on your PC or laptop. All you have to do is click a single button to set up your backup and your files are protected, either continuously or at the desired backup interval. 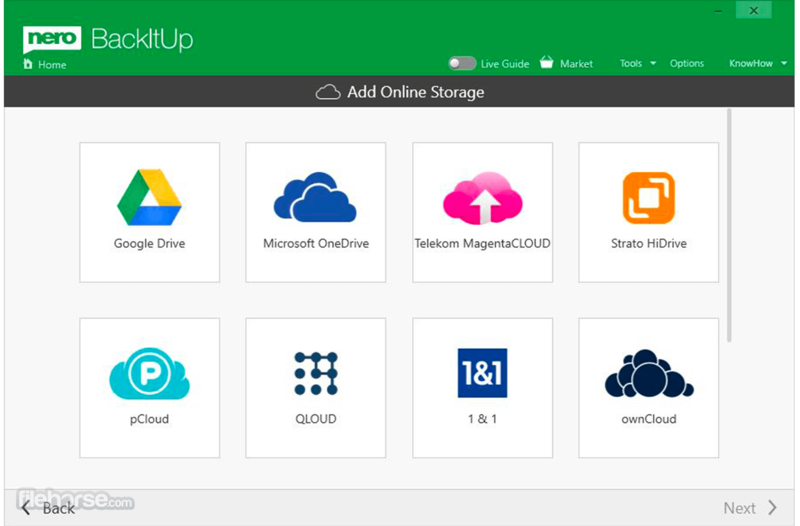 Brand new: You can now back up files to your favorite cloud services (Google Drive, OneDrive) and restore data online from your cloud storage. Bring together what belongs together: Import all formats up to high quality HEVC (H.265) and convert them to almost any format you need. Rip video DVDs*, AVCHD* and Blu-ray Discs™* and simply continue using the files for new projects. New: Convert your video files specifically for use in video discs (DVD-Video™, AVCHD, Blu-ray Disc™) and let the fully compatible files be transferred directly to your video projects. Thanks to SmartEncoding, you can significantly reduce the creation times for your video discs. With the 1-click conversion you can also transfer audio CDs including cover art directly to your connected mobile device. Audials Music Recorder - BONUS! 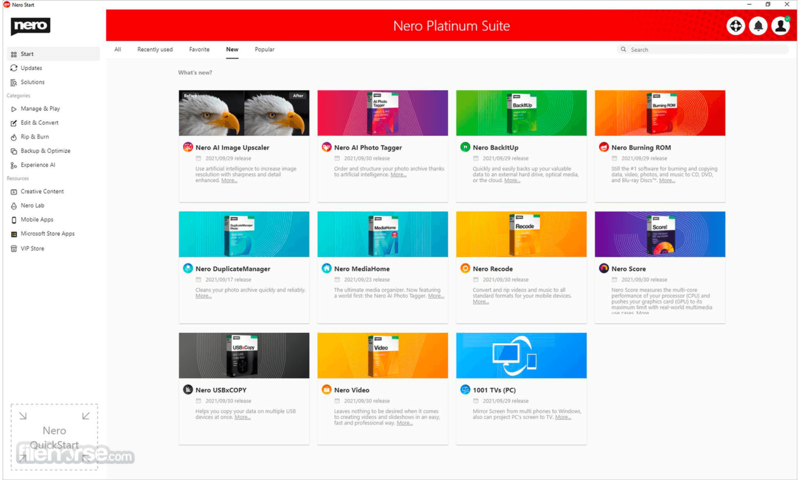 The Music Recorder included in Nero Platinum 2019 for PC is your ticket to the world of music: Listen to the hits of your favorite bands and discover new songs by accessing over 100,000 online radio stations and thousands of concerts, music videos, and fan content. Music Recorder records music as a non-DRM-protected MP3 file. These can then be copied to your mobile device. Note: 30-day trial version (credit card-based subscription required). Limited functionality.